Days after a gas line linked to an Anadarko Petroleum well ignited a deadly home blast in Colorado, the company’s chief executive said the “terrible tragedy has left all of us with heavy hearts.” But even as investigators were picking through the wreckage, the company moved to fight a new bill that would have forced it to tell Colorado homeowners how close they live to oil and gas operations. State records show while CEO Al Walker said the "families and their loved ones are in our thoughts and prayers,” Anadarko was deploying its lobbyists to press Colorado lawmakers to block a transparency measure as it pursued plans for hundreds of new wells in the northeastern part of the state. After Anadarko’s lobbying blitz, Republican legislators filibustered the bill, which would have required energy companies to disclose maps documenting the locations of their gas lines and wells. The GOP lawmakers killed the legislation a few months after Anadarko donated to a group backing their election campaigns. The sequence of events that unfolded after the Colorado explosion demonstrates the political power of the Texas-based company, which is Colorado’s largest oil and gas producer and has flooded Colorado politics with campaign cash. An International Business Times/MapLight review of campaign finance records found the firm gave more than $7.2 million to political groups operating in the state during the 2016 election cycle — an average of roughly $10,000 every day for two years. In an email to IBT/Maplight, Anadarko spokesperson John Christiansen said the company has been taking precautionary safety measures since the explosion and has temporarily shut down all of its operated vertical wells for additional inspections. He said the company believes the public has a right to know the locations of all of the oil and gas infrastructure around their homes. “We believe any legislative or regulatory action around this issue will be most effective when we have all the information from the investigation and the state regulatory authority’s Notice to Operators, and with input from home builders, commercial developers, industry, regulators, the environmental community, local officials and others,” he said. "Something That Can Explode a Couple Hundred Feet Away From a Playground"
In the years leading up to the disaster in Firestone, Anadarko money flowing into Colorado has been piped to individual legislators and to independent expenditure committees. Anadarko has also worked to prevent environmental and public health groups from taking proposals directly to voters. Last year, the company gave millions to a group that helped quash a set of proposed anti-fracking ballot initiatives and then helped finance a measure making it more difficult for similar initiatives to qualify for the ballot in the future. Some of the Anadarko-funded groups have played a pivotal role in supporting the re-election campaigns of Colorado Senate Republicans. Those lawmakers have in turn used their slim majority to help Anadarko block a series of bills designed to improve regulation of the oil and gas industry, which accounts for more than 38,000 jobs — or roughly 1 percent of the state’s total jobs. In recent weeks, Republican senators have voted down two separate House-passed bills opposed by Anadarko, which in the early weeks of the legislative session saw one of its wells spill 28,000 gallons of oil in Weld County. After that spill, Senate Republicans voted down a “setback” bill that would have limited fracking and drilling near schools, as the Democrat sponsor of the legislation explicitly warned of the possibility of explosions near oil and gas wells. "Accidents happen with these, and it just doesn’t make any sense to put something that can explode a couple hundred feet away from a playground," Democratic Rep. Mike Foote said. Days later, the gas line leak from an Anadarko well and the subsequent explosion leveled the home in Firestone. A few weeks after the blast, Republican lawmakers voted down another Democratic bill that would have limited oil and gas companies’ rights to compel homeowners to allow drilling on their property. GOP efforts to help the party’s fossil fuel donors came only weeks after a University of Colorado study — by researchers at a unit of the school named after fossil fuel magnate Philip Anschutz — found that Colorado children with acute lymphocytic leukemia were more likely to live in areas of high-intensity oil and gas development. But one Anadarko-linked group argued that further limiting drilling could harm the state’s economy. On the surface, state records suggest Anadarko’s contributions to Senate Republicans have been relatively modest. In 2016, the company gave only $50,000 to the Senate Majority Fund, the primary fundraising apparatus of the Senate GOP. But those records do not detail Anadarko cash that has flowed to “dark money” organizations, or nonprofits that are not required to disclose their donors. For example, the Colorado Economic Leadership Fund (CELF) played a pivotal role in helping Senate Republicans retain their majority in the 2016 election — and little-noticed corporate filings reviewed by IBT/MapLight show Anadarko gave generously to CELF. Anadarko discloses a substantial level of detail about its political spending to company shareholders, and has earned high marks for transparency from the Center for Political Accountability, a group that tracks corporate political donations. According to those disclosure documents, Anadarko donated $510,000 to CELF during the 2016 election cycle. The fund spent roughly $711,000 during the election, much of the money going to last-minute efforts to help Republicans preserve a Senate majority that has been used to block legislation regulating the oil and gas industry. CELF spent more than $372,000 to help re-elect Jack Tate, R-Centennial, and elect Kevin Priola, R-Henderson. The two senators represent swing districts seen as critical to preserving the Senate Republican majority that provided the votes to kill the regulatory bills. The fund also spent $37,500 to help state Sen. Randy Baumgardner in his 2016 re-election race. Baumgardner, R-Hot Sulphur Springs, is the vice chairman of the specific Senate panel that quashed the setback bill, which lost in committee by a single vote. While it is impossible to know how much of CELF’s total operating money came from oil and gas companies, Anadarko and Noble Energy in 2016 together gave the group $535,000 — or 75 percent of the total amount that CELF spent on Colorado elections in 2016. State records illustrate the group’s additional links to the oil and gas industry. The group spent much of its 2016 election money through Pac/West Communications — a consulting firm that has run the Anadarko-funded group Coloradans for Responsible Energy Development (CRED), which has promoted fracking and drilling. Frustrated by the fossil fuel industry’s power in the legislature, environmental groups have tried to circumvent lawmakers and pass ballot measures to restrict oil and gas operations in Colorado. Anadarko has helped stymie those proposals. In 2013, for instance, Anadarko disclosed spending more than $327,000 on campaigns involving proposed local Colorado ballot initiatives to ban fracking. When some of those measures passed, the Anadarko-linked Colorado Oil and Gas Association quickly filed — and later won — a lawsuit to overturn them. Anadarko successfully lobbied in 2014 to keep Colorado Democrats from offering two planned statewide ballot measures — one that would have required drilling rigs be set back 2,000 feet from homes, and another that would have allowed local governments to enact environmental regulations stricter than state rules. The ballot measures were scrapped as part of a compromise negotiated by John Hickenlooper, Colorado’s Democratic governor. The deal between fracking opponents and the oil and gas industry was forged as Anadarko was bankrolling CRED and blanketing the state with ads promoting the benefits of fracking. After the compromise, Hickenlooper appointed Brad Holly, a top Anadarko executive, to the Colorado Oil and Gas Task Force. The panel’s 2015 report shows Holly voted against a proposal to give landowners notice of drilling near their property and he voted against another proposal to have state regulators review scientific data to assess potential health hazards from living near fracking sites. He also opposed a proposal to compel companies to disclose the chemicals they are using in their operations. In 2016, critics of the oil and gas industry began trying to organize support for two new state ballot measures to limit fracking. 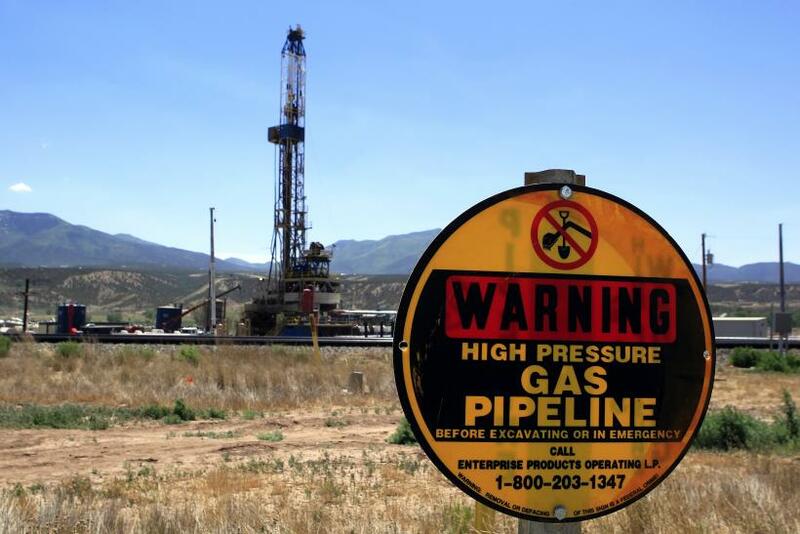 One of the measures would have prohibited companies from siting oil and gas wells within 2,500 feet of homes; the other would have allowed local governments to regulate fracking. During that election cycle, Anadarko gave $6.7 million to Protecting Colorado’s Environment, Economy and Energy Independence (PCEEEI), an organization that fought those measures. PCEEEI led a television campaign to try to prevent Coloradans from being able to vote on fracking regulations. The group’s ads discouraged residents from signing petitions to help the measures qualify for the ballot. After the initiatives failed to make the ballot, PCEEEI donated $2.9 million to Raise the Bar — Protect Our Constitution, the group leading the campaign for Amendment 71. The initiative, which makes it more difficult for citizens to place measures on a statewide ballot, was approved by voters in November. In addition to its contributions to PCEEEI, Anadarko gave $250,000 to Raise the Bar in October. Anadarko also delivered $127,000 in 2015 and 2016 to Vital for Colorado, whose website describes the group as a broad coalition of business leaders who “promote the benefits of sensible energy production in Colorado” and serve as “a local and statewide voice to stand up to outside forces trying to influence major economic and political decisions in this state.” Vital for Colorado gave $600,000 to Raise the Bar in 2016. Anadarko has been frank about its reasons for supporting the measure. “Amendment 71 was placed on the Colorado 2016 ballot and approved by voters, making it more difficult to place an initiative to amend the constitution on the state ballot,” the company wrote in its most recent SEC filings. “Such compliance costs and delays, curtailments, limitations, or prohibitions could have a material adverse effect on our business, prospects, results of operations, financial condition and liquidity,” the company said. The SEC records were filed by the company a few weeks after its oil spill — and just two months before the blast in Firestone killed two people. This story is a collaboration between International Business Times and MapLight, a nonpartisan nonprofit that reports on money in politics. Did A Halliburton Donation Bankroll Pro-Fracking Policy?